The bracket has been released, and it is time to start learning most about the teams playing the games. Everybody knows about teams like Duke, Kentucky, North Carolina, and Michigan State, because the media outlets focus their attention on the blue bloods during the regular season. However, the most fun place to win when picking your bracket is the upsets, which is mostly made up of said teams losing to mid majors. To keep with the format from prior years, teams from the ACC, Big 10, Big 12, Pac-12, SEC, Big East, American, Atlantic 10, and Mountain West are not eligible for this piece, because those leagues typically get multiple teams in the NCAA Tournament. Honorable mention shoutout to the Nevada Wolf Pack and the Utah State Aggies from the Mountain West for having strong enough resumes to be on the 7 and 8 seed line, respectively, and they could play the role of giant killer in the Round of 32, should they make it that far, as Nevada did last year when they took out the 2 seed Cincinnati Bearcats. Also, 1 seed Gonzaga is exempt from this list because if they busted brackets, it would be in a negative way. The Bulldogs are a national title contender with the second-ranked nERD -- our in-house metric -- after going 30-3 this season. They have become a perennial powerhouse and do not fit the spirit of this article. Now that the rules have been ironed out, let's take a look at the mid majors that could make some noise in the NCAA Tournament. The Buffalo Bulls are back in the tournament for the second straight year after a 31-3 season in which they claimed the MAC regular season and tournament crowns. 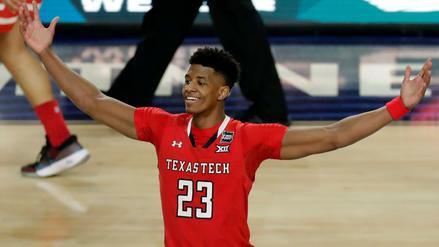 You may remember them from their first-round beatdown of Arizona last year in a 4-13 matchup in the wild, wild South Region, when the Bulls dismantled the much maligned Wildcats, 89-68. Nate Oats' bunch returned their three leading scorers from that team and has now earned a 6 seed. They are looking to make a push for much more than a visit to the Round of 32. Buffalo has the third-shortest average length of possession on the offensive side of the ball, but their offensive efficiency is what makes them the potent scoring team that they are. The Bulls ranked sixth in the nation in points per game while boasting the 19th-ranked offense, according to Kenpom. Combine that with their ability to avoid turnovers -- 18th in the nation -- and they're an efficient team that takes card of the ball and runs a fast pace, making them tough to beat. Buffalo is not just a one trick pony, either, ranking 22nd in defensive rating. Wofford claimed the 7 seed in the Midwest region after an impressive run through the Southern Conference. The Terriers have won 20 straight games dating back to December 19, and all of their four losses on the season came at the hands of NCAA Tournament teams North Carolina, Kansas, Mississippi State, and Oklahoma, the last three of which were true road games. Their undefeated run through the SoCon was made even more impressive considering the relatively amazing season that the conference had. The SoCon had four teams in the top 75 of NET and were one bid steal away from having a second team, UNC Greensboro, in the tournament. Wofford's main strength is on the offensive side of the ball, where they ranked second in offensive rating -- scoring just under 120 points per 100 possessions. The Terriers rank 293rd in pace and do their damage from behind the three-point line. As a team, Wofford shoots slightly better than 41 percent from three, lead by senior guard Fletcher Magee, who averages 4.6 made threes per game as part of his team leading 20.5 points per game. 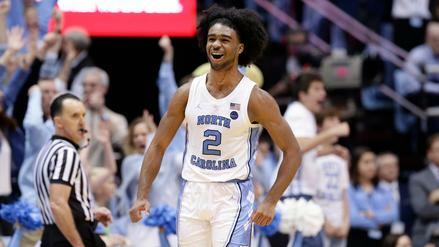 Magee also plays the important role of go-to scorer who can hit shots from the parking lot -- something many upset-minded teams in the past have relied on to make deep runs in the NCAA Tournament. After three seasons of at least 29 wins, which yielded just one trip to the NCAA Tournament, Saint Mary's took matters into their own hands by knocking off the top seed Gonzaga in the West Coast Conference final. The Gaels held the most efficient offensive team in the country to only 47 points en route to earning the WCC's automatic bid and an 11 seed due to their 32nd-ranked NET. Saint Mary's is your typical grind-it-out team, ranking 347th in pace, but they do have the WCC's leading scorer, Jordan Ford, and a squad that ranked 34th in three-point shooting percentage this season. They match up favorably to the teams they would likely be playing in Hartford on their way to a surprise Sweet 16 berth, since Villanova and Purdue rely on three-point shooting and a couple of players to really drive the scoring for their teams. Saint Mary's allows the ninth-fewest three point attempts per field goal attempts in the nation, which should help them slow down their opponents and give them a reasonable shot to make some noise in the South Region. Outside of the three teams above, there are a handful of 12 or 13 seeds that have a relatively strong chance to score upsets. The 12 seed with the highest chance of winning in the Round of 64 is the Murray State Racers, who rank 43rd amongst NCAA Tournament teams in nERD. They are facing a Marquette team that is limping into the tournament, which aids Murray State's cause. 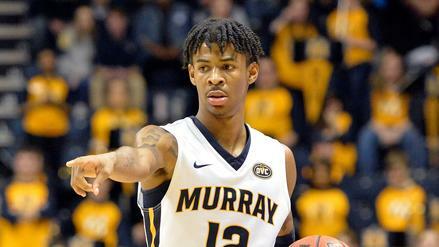 Sophomore guard Ja Morant, who was eighth in the country in scoring, gives the Racers the stud they would need to pull off upsets. Also on the 12 line, New Mexico State has a decent chance to knock off the Auburn Tigers, though Auburn was under-seeded, per our numbers. The Aggies are 44th in nERD and took Kansas to the wire on the road back in December, when the Jayhawks were much closer to full strength than they are now. Amongst teams on the 13 seed line, the Anteaters of UC Irvine look like the best bet in their date with Kansas State. Irvine enters the tournament at 30-5 and took down Saint Mary's on the road in convincing fashion back in November. It wouldn't be stunning if fellow 13 seeds Vermont and Northeastern, the latter being a lethal three-point shooting team, pulled off upsets, either.